If your first thought of Gardener's pie is the vegetarian version of Shepherd's Pie, you are correct. I'm not sure if this happens in the rest of the world, but here in North America, more and more people choose to eat less meat, these group of people are called flexitarians. A flexitarian can be defined in both ways - vegetarians who occasionally eat meats and meat-eaters who want to integrate vegetarian meals in their diet. Arguments of choosing a flexitarian diet can be related to health, environment or resource consumption. Here is a dish which will sure satisfy both the meat-eaters and the vegetarians, and even the vegans. 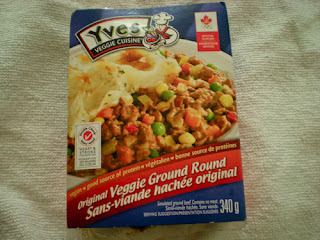 I read a couple of vegetarian cookbooks, some vegetarian dishes are inspired from meaty dishes. One good substitute is ground soy which looks and tastes exactly like ground meat, the meat-eating friends won't even know that it is vegetarian. 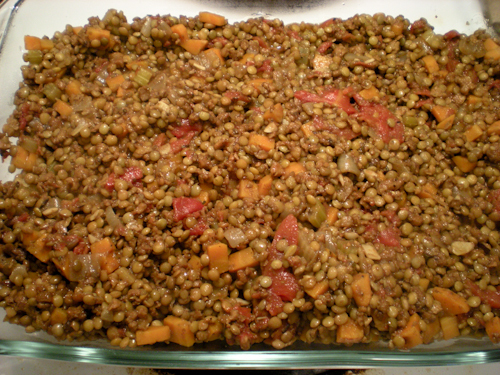 Another less known substitute is lentil. Lentils, if you cook and simmer in broth long enough, have a similar texture to ground meat. 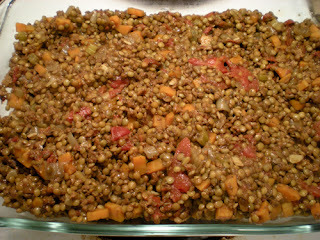 Lentils are cheap and versatile source of protein and it is not only limited to lentil soup and lentil salad. 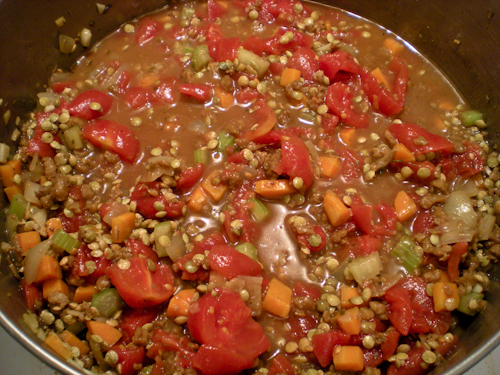 It can be used when puréed as a thickener to soups and stews, and even blend it into meatballs. 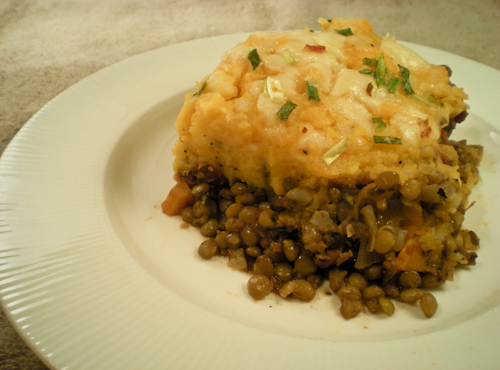 In this vegetarian version of Shepherd's pie, I blended ground soy and lentils to substitute the ground lamb, and these ingredients are simmered in broth, herbs and aromatics to make this dish flavourful. 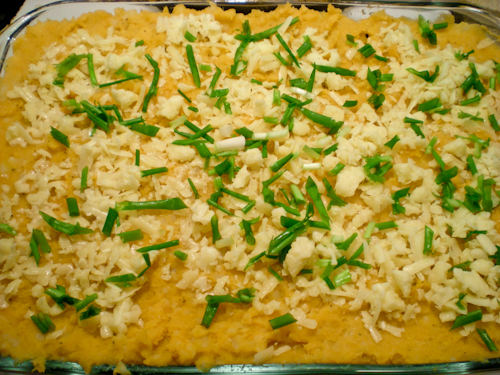 For the vegan, you can omit the milk, butter and cheese that are blended in the potatoes. What is your favourite vegetarian? 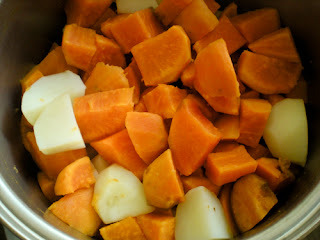 Feel free to post your recipe link on the comment section. 1. In a large pot, heat oil over medium heat. 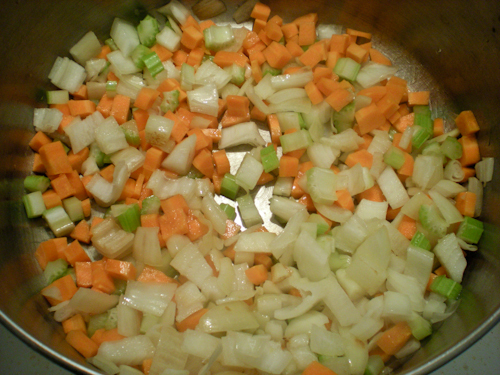 Cook onions, celery and carrot until softened, about 5 mins. Add in garlic and cook until fragrant. 2. 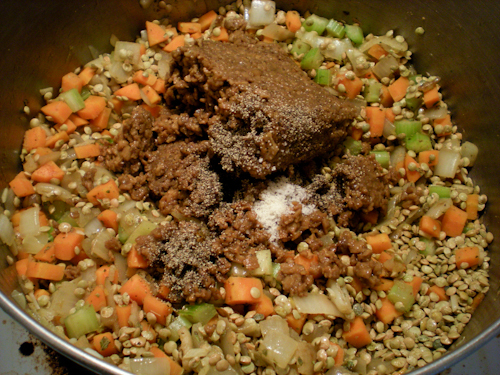 Stir in lentils, soy protein, cumin, and oregano. Season with salt and pepper. Cook for 3 mins. 3. 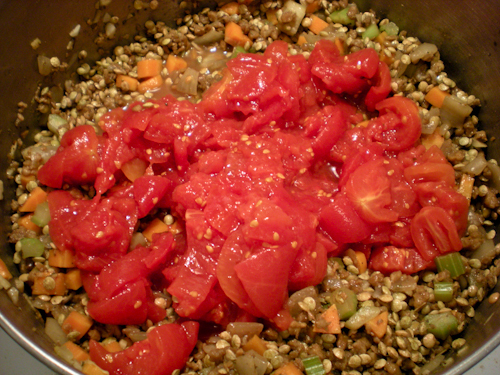 Add in diced tomatoes and broth. Bring to a boil and reduce to a simmer. Cover and stir occasionally. 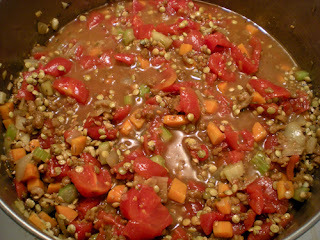 Cook for 45 mins until lentils are tender. 4. Meanwhile, in a large pot, cook potatoes and sweet potatoes in boiling salted water for 15 mins, until tender. 5. Drain water and return to dry pot. Mash together with milk and butter. Season with salt and pepper. Stir in 1/2 cup of cheese. 7. Transfer lentil mixture in a 13 x 9 inch baking pan. 8. 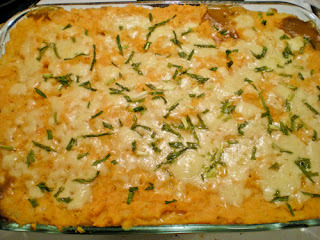 Spread mashed potatoes over top. 9. 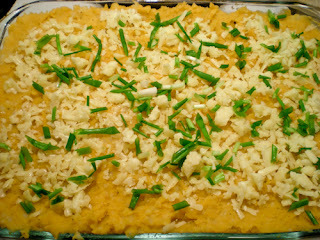 Sprinkle with cheese and scallions. Bake for 25 mins until bubbly. My type of comfort treat! 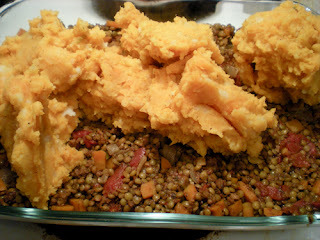 Delicious and healthy lentil pie. Furthermore, garden shed designs should serve its purpose to the owners in general.